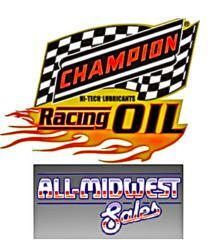 All-Midwest Sales, LLC, was founded in 1968 and is headquartered in North Royalton, Ohio. Champion has selected the rep agency to increase the distribution of its racing and performance products in West Virginia, Kentucky, Ohio, Indiana, Illinois, Michigan, Arkansas, and Louisiana. "We believe in All-Midwest Sales (AMS) wholeheartedly; we have a great respect for the people and the quality of service they provide”, said Mike Reddick, VP of Sales for Champion. “They are a forward-thinking company with a great talent pool. AMS is known for having a family atmosphere, strong business relationships, technical expertise, and being able to meet our customer's needs and expectations."